Dr. Paige is proud to present patients with experienced and first-rate dental care that satisfies their most unique and important needs. His commitment to genuine and personal care has provided thousands of patients with life-changing results. Buckhead Family Dentistry creates an exceptional dental experience for their patients. Dr. Paige received his DDS from the University of North Carolina Chapel Hill School of Dentistry. He has been practicing dentistry for over 20 years. Buckhead Family Dentistry is founded on the ideals of ensuring every patient can return home with a smile they don’t have to feel anxious about. Our treatments cover numerous aspects of dentistry, including cosmetic procedures, dental implants, porcelain crowns, tooth-colored fillings, teeth whitening, and more. We possess a genuine enthusiasm for dental care that is evident through the joy we share with our patients in providing the results they want. If you’re looking for the ideal level of professional, family-oriented, and friendly dental care in Atlanta, Dr. Paige and his team will be eager to work with you. Our office welcomes your call whether you have questions or are setting up an appointment. We hope you enjoy your experience at Buckhead Family Dentistry! 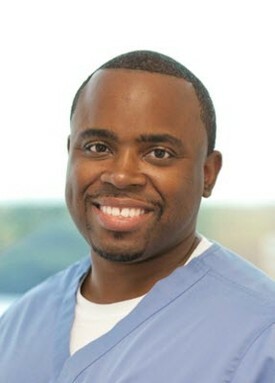 Dr. Thaddeus Harvey DDS graduated from Howard University - School of Dentistry. Dr. Harvey has always had an interest in medicine since he was a young child. He chose dentistry because of the creative aspect of it, being able to treat and diagnose immediately. He also enjoys the hours because he enjoys spending time with his family. 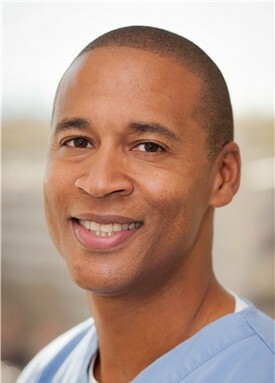 Dr. Harvey feels you can change a person's whole life just by fixing their smile. That is a very rewarding experience.